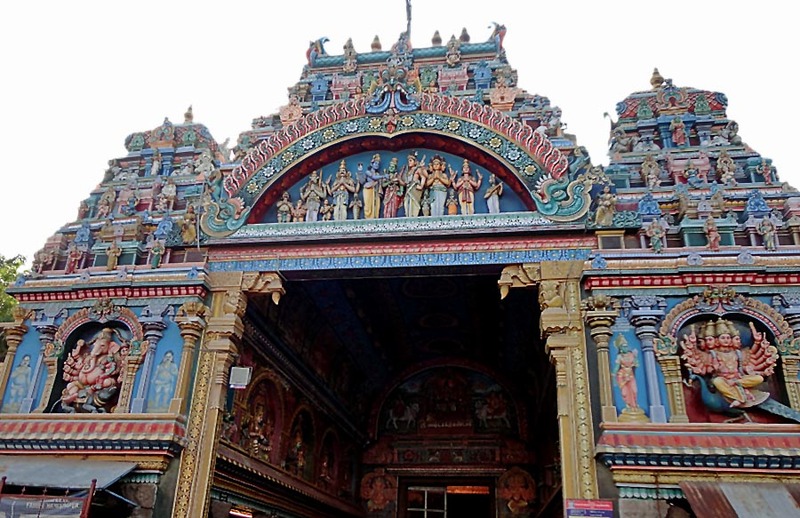 The Meenakshi Amman Temple or Tiru-alavai is located in Madurai, also known as India's Temple City which is over two and a half thousand old. The temple itself has been re-built (1623 to 1655) on the ruins of an ancient temple which existed for centuries but which was invaded and destroyed by the Mughals (Malik Kafur in 1310). The ancient temple existed as early as the 7th century ( it has been. The beauty and fame of the temple has spread and it was one of the 30 nominees for the "New Seven Wonders of the World." 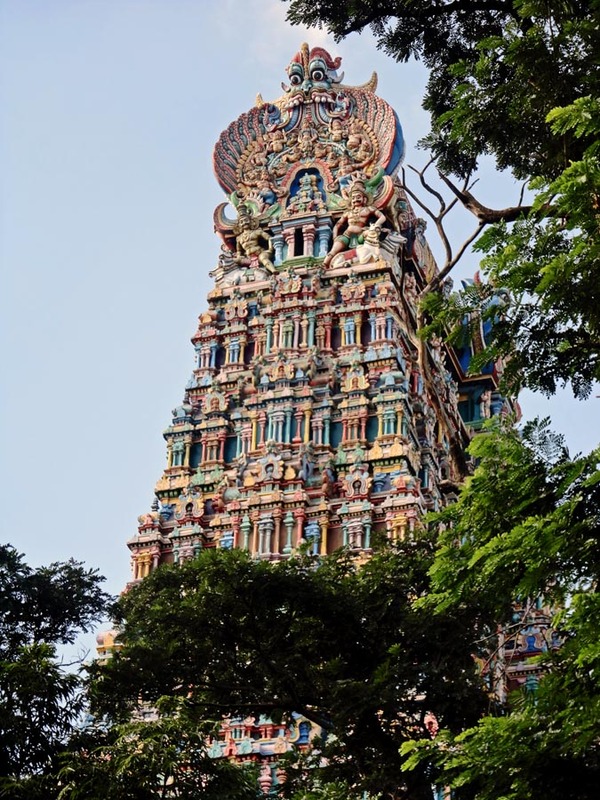 The temple is built in the honour of Parvati (also known as Meenakshi) and the her consort, Shiva (Sundareswarar), and is a huge temple complex with 14 gateway towers and over 30,000 sculptures! 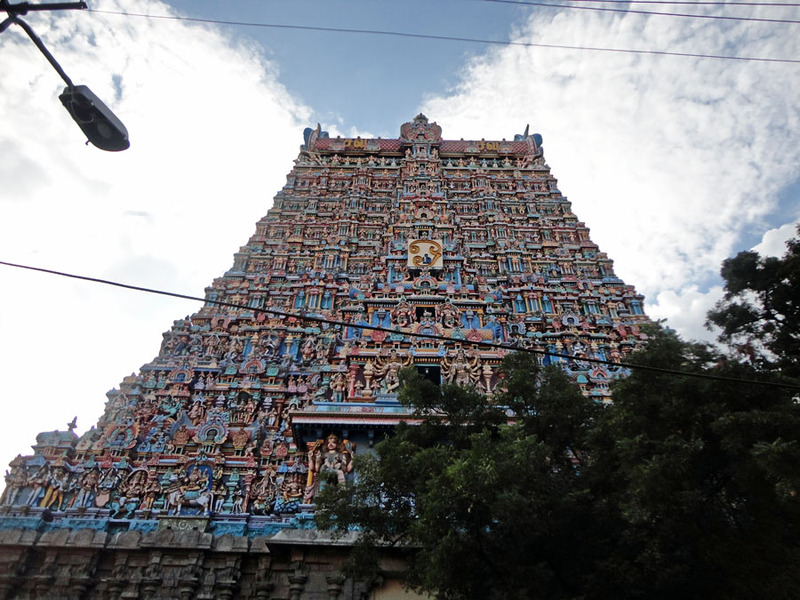 This is one of the tall towers with elaborately carved sculptures. Another temple tower, even larger than the previous one. One of the smaller temple towers with sculptures of deities. 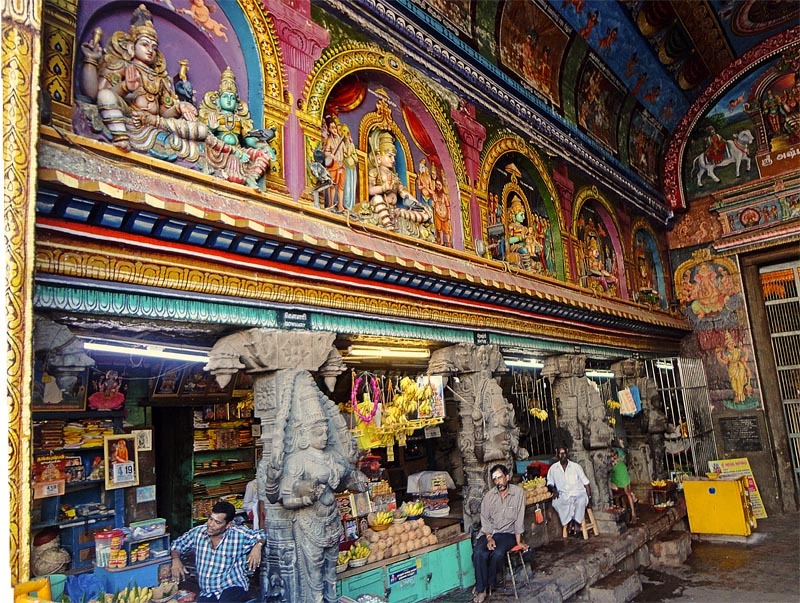 Inside the Meenakshi temple. Even here there are elaborate carvings. You might also like to see photographs of the ancient temples of Ajanta and Ellora which remained intact through the last 16 centuries because they were in a remote location and thus not destroyed by invading Mughals. More: 18th century ancient Narsimha Temple in Pune or check out all posts on Hinduism.